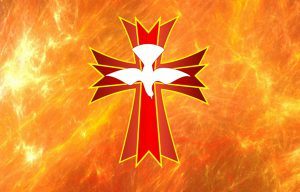 This Pentecost weekend there is a lot going on in Tamworth! On Saturday there is a Party in the Park at the Castle grounds, run by Tamworth Covenanting Churches (TCC). Join us from 1pm for music, food, prayers and games. On Sunday we have a special Pentecost Healing Service at 10.30am – we will be praying for the Holy Spirit to fill us and move us. On Monday at 7.30pm the Archdeacon’s Visitation is happening. We will be welcoming Simon Heathfield, who will charge and commission local church wardens for their important roles within our churches. Through all that we are Praying for Five. Choose five friends who don’t yet know Jesus, and pray for them every day.